2) Your message’s value & relevance to the recipient. There are multiple sales prospecting tools that can help you with this. I recommend that you hand pick qualified prospects, which you can search for based on company size, revenue, industry, location, and many other variables. If you have mutual connections, or someone that you know that can make an introduction to that person, then go ahead and take that approach instead of adding them to a campaign. Asking for introductions is usually a manual process, but tools like Hexa can help you do this at scale.  Contacting the wrong people could adversely affect your reputation & your company’s brand image, as well as potentially having your email domain being blacklisted for spam. Step 2: Enrich & Clean Up Your Data! I highly suggest that you clean up the names, titles, and other data so that you can eliminate or reduce the robotic sound of the email. These are fields like “John Doe, MBA” or “Company Holdings LLC” that are accurate from the source (LinkedIn, website, etc. ), but do not sound great when used in human communication (like a normal conversation). The most important mail merge field to have correct is the first name. It’s hard for humans to change first impressions, and we all love the sound of our names, so if you get someone’s first name wrong on the first touch, it will be very hard to dig yourself out of that hole. You can hire a virtual assistant to take care of tasks like this if you have a large list of prospects, but for your first campaign, it’s important that you do at least the first hundred or so on your own. This is so that you have a direct feel for the quality of data. I have personally received many email pitches, and some were better than others. Another step to cleaning up your data is making sure that the emails still work. You do not want to have your emails bounce too often, as this may eventually lead your domain to become blacklisted for spam. Kickbox.io is a cheap and convenient way to take care of email address verification. There are other services that do this as well. Copywriting is an art, as well as one of a marketer’s (and salesperson’s) most essential skills. Ask questions. Most people won’t have time to read descriptions or explanations, especially if the topic does not directly pertain to them. Set a clear Call-to-Action, which is usually scheduling an appointment or visiting a link. 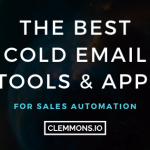 Automated follow-ups are perhaps the strongest feature of cold email tools. Many hours of time spent on manual efforts are thus saved. 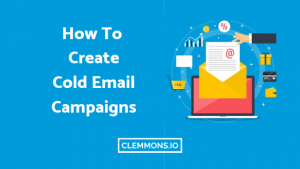 How many follow-up emails should a campaign have? How much time should each email be spaced apart? Should the emails all be under one single thread (subject line), or should they be separate threads? My main piece of advice on this topic is to ensure that each and every message adds a new piece of value for the recipient, not another “hey, did you get my email?”. A few short emails, in this way, could be more effective and easier to digest than one large pitch email. Sharing your own and other’s content is a simple way to add value to a follow-up message.